The full name of this Yungdrung Bön monastery is Ye Ta Lung Kar Gön Shenten Rinchen Ling, Lung Kar Monastery of Ye Ta, Precious Sanctuary for the Teachings of Shenrap. It is commonly called Lung Kar Monastery and is named for the deity of the region, Lung Kar. The monastery is located in North Eastern Tibet in a region whose population is predominately Bönpo. There are about four thousand people living in the vicinity who support the monastery through donations and services. In 1715, the chief of the Hor lineage in Ye Ta established a hermitage for the local lama to support religious practice and services for the lama and the surrounding community. However, after the death of the lama, the hermitage was neglected. In 1808, Yu Lung Monastery was established at the very same location. The king of all of the Hor families stated that this monastery should be for all of the various lineages in the Ye Ta region. This monastery began to thrive but was destroyed by an avalanche in 1868. Years later, the king of the Hor lineages ordered that the monastery should be rebuilt as its destruction by avalanche was seen as quite inauspicious. 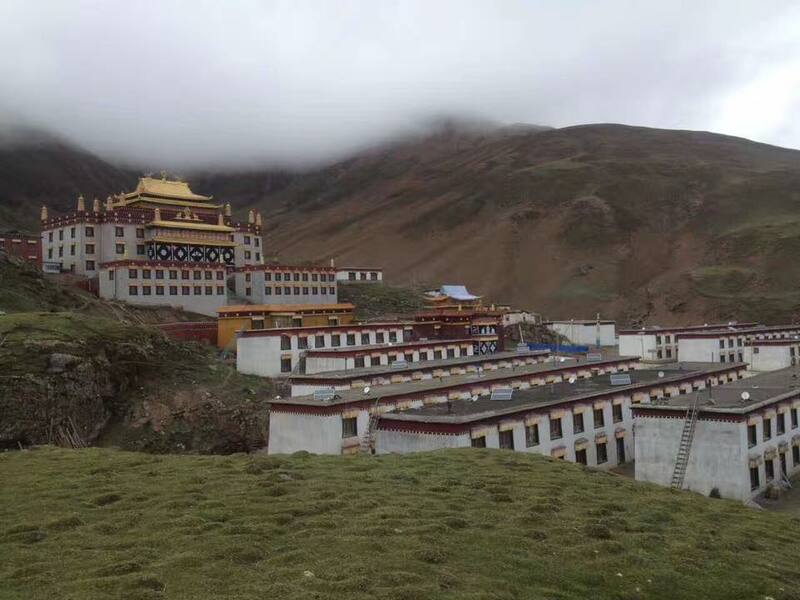 In 1925 on the 22nd day of the 9th month, according to a prophecy by the 22nd Menri Trizen Yungdrung Wangyal Rnpoche, and with the support of the king and community members, reconstruction of the monastery began. On this day, many important members of the Bön community were present including the tertöns Sang Ngak Lingpa and Khandro Dechen Wangmo. (See previous article about this female treasure revealer https://ravencypresswood.com/2016/07/31/modern-day-khandro-treasure-revealer/ ) On that day, Sang Ngak Lingpa revealed a hidden text from the sacred mountain behind the monastery. He also designated a path to be used by the community for circumambulation of the mountain. Currently, there are more than fifty monks, teachers and administrators at the monastery. The monks and lamas meet many times each day to practice meditation and perform rituals. Additionally, each month has its own ritual cycle that is performed. For example, during the last month of each lunar year, the complete ritual cycle of the deity Takla Mebar is performed.